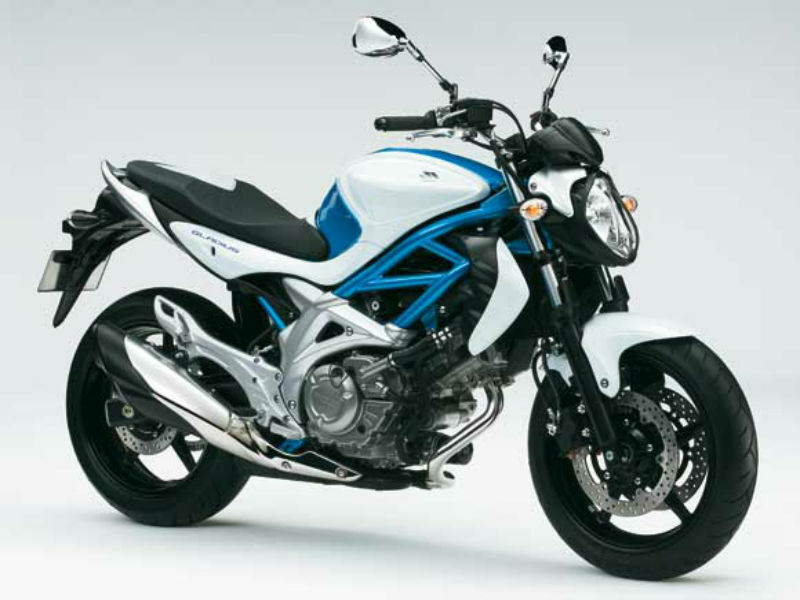 With its astonishing appearance, quality design and sporty gaze Suzuki Gladius surely serves as a true head turner. Although this stylish vehicle has the power to attract customers of all ages it is especially popular among younger generation. The eye-catching design of the fuel tank, bigger alloy wheels and attractive body graphics makes this vehicle unique. It is not only about the looks the riding experience provided by the bike is also excellent. This much awaited bike is ready to be on road by the end of 2012. 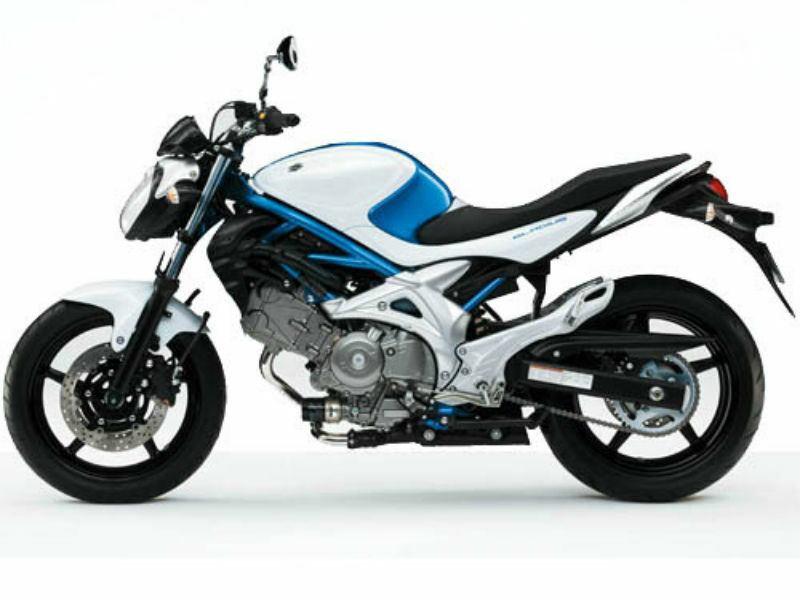 Beneath the funky appearance, the Suzuki Gladius is powered by efficient 645 cc, 2 cylinder, 4 stroke, DOHC, V twin engine which guarantee great performance. The maximum power output from the engine is about 67 Bhp at 9000 rpm and the highest torque achieved is 63 Nm at 7600 rpm. This power obtained from the engine reaches the wheels through 6 speed constant mesh transmission. The bike has the power to attract every passerby through its stunning looks and attractive body graphics. With the contemporary design of the headlamps and handle bars, the motor vehicle looks elegant and sophisticated. The front indictors, tail lamps, instrument panel, trendy fuel tank and striking body graphics offer a very classy and graceful look. 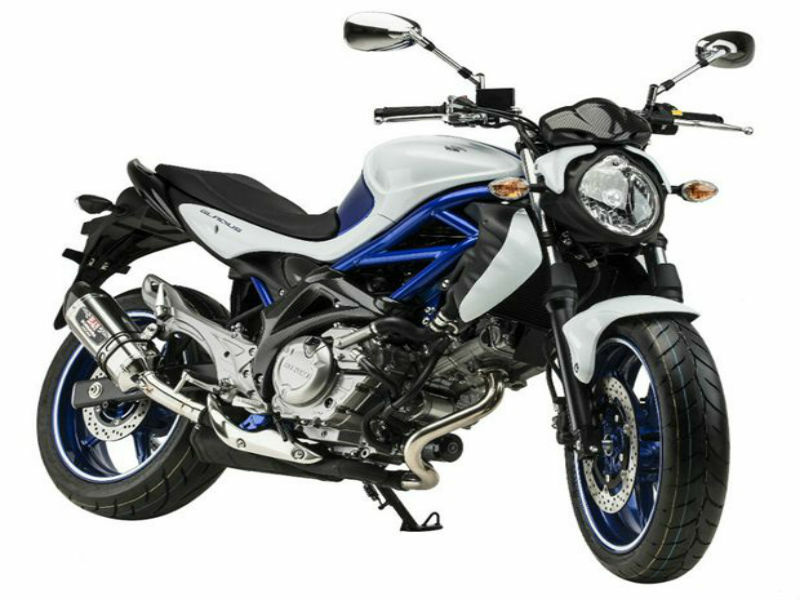 Further the broader seat, alloy wheels and chrome finishing to the naked parts adds to the fancy outlook of the motorbike. Riding this super bike is a new and wonderful experience which every motorbike rider would love to enjoy it. The vehicle comes with dynamic suspension system including the front oil damped, coil spring, telescopic suspension and the rear link type which provide greater comfort and greater pleasure in driving. Further the disc brakes of the vehicle assure greater control and handling. The well-organized fuel system used make sure that every single drop of fuel is used to produce the energy thereby the vehicle is said to give a descent mileage. The sporty bike is available in various colors namely Metallic Grey, Blue, Nebular Rouge Mira and Nebular Black. The ex-showroom price of this classy vehicle is about Rs. 7,00,000.